This must be chilled overnight for the cookies to soften! We are talking 24 hours or more-a little tip to speed the softening up....halve the cookies lengthwise (don't worry about the cream) and layer them halved. Or you could even chop the cookies and use chopped cookies in the layers! Either way you choose will be delicious!!! Gonna try this!!! What kind of cream do you use though? 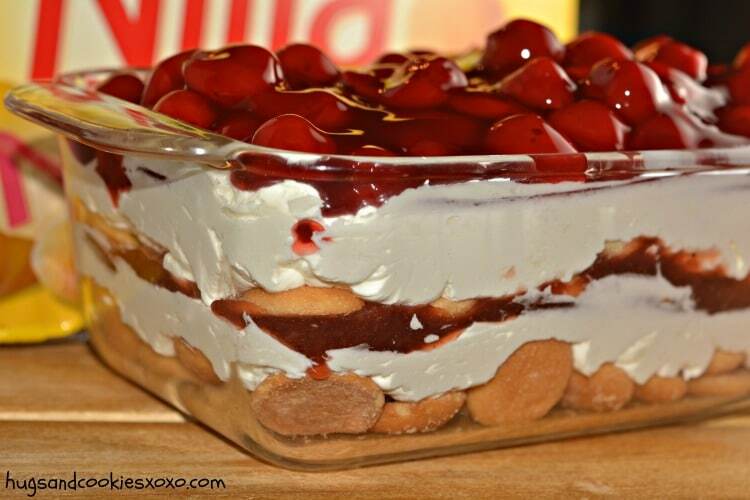 I can’t wail to make this for my daughter graduation party at the lake, move over banana pudding. If i make this thursday night will it be ok to wait to eat it until sunday? I haven’t waited that long but I would guess yes! 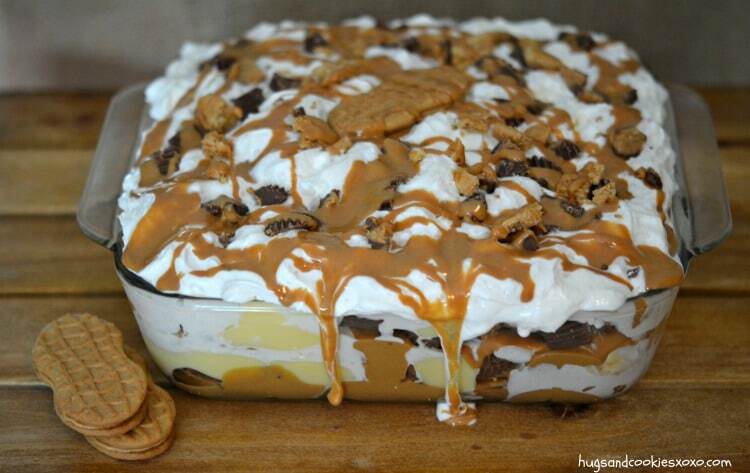 I AM A DIABETIC AND I AM GOING TO MAKE THIS AND HAVE A PIECE ANYWAY! 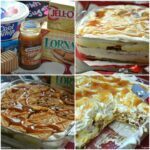 You could use vanilla wafers instead of nutter butters to reduce the sugar level and there is a Sugar Free Cool Whip you can use. That might help you out a little to avoid an overdose of sugar. That really wouldn’t be the same thing, now would it? And you just might be surprised how much sugar is in vanilla wafers. As a diabetic for 40 years, I can assure you any diabetic who would eat this probably wouldn’t eat a lot, knows what it CAN do to their sugar level, and is quite capable of compensating for it. Sometimes you just have to say “I want some of that, and I’m gonna eat it!” Also, if we only ate low carb, low sugar items for our entire lives, we would be miserable and depressed. I’ve met people like that, and none of them were happy! Cool whip isn’t a bad choice even not being sugar free. 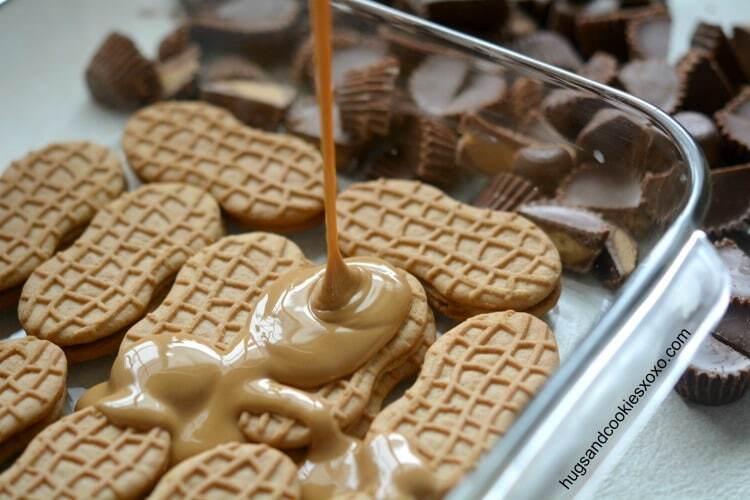 The chocolate and peanut butter will both have your sugar level spiked. If your insulin dependant just take enough to cover your intake. I agree!!! Banana pudding = Elvis would love it! Yes! I totally agree! Elvis! How about spreading the top with chocolate ganache or drizzling chocolate syrup over all the cookies and such? I am a chocaholic and I just have to have a bit in desserts! I was thinking chocolate pudding instead of the vanilla, right? hahaha…gonna hafta calculate W.Watcher’s points on this. hee hee, not even one! Make it for a birthday, and there will be no calories, no carbs, and no leftovers! Love that theory of yours! Has anyone ever used cream cheese and condensed milk together then adding coolwhip? Instead of pudding, or all of it even? The first thing I thought of was banana pudding also. Plus reading some of the other and seeing a similar recipe before, I’m thinking of pulsing the cookies in my food processor for the bottom layer… kida like you would with any dessert using oreo cookies. The other recipe I saw some complained too about the cookies not softening up – that might be a fix. Can’t wait to try it. I actually made this last night with cream cheese. I took cream cheese and powdered sugar and mixed it together and then folded in the whipped cream. That layer tastes delightful, as does the whole thing I’m sure. I never thought about using a cream cheese and condensed milk combo in anything. I’ll have to give that a try. My one question is this: I let it chill in the fridge for 12 hours, and the cookies are still hard, like they came out of the package. I was envisioning a softness like banana pudding. Do they get that soft? what if I opened the cookies and let them sit on the counter for a day before making? I think you need 24-36 hours. They do take longer than most cookies to soften. I know it’s been a while since you posted this but I wanted to let you know that when I make this I dip each cookie in milk for like 3 seconds before lining them in the dish. They are soft within a couple of hours but they do taste and feel better if it sits overnight. 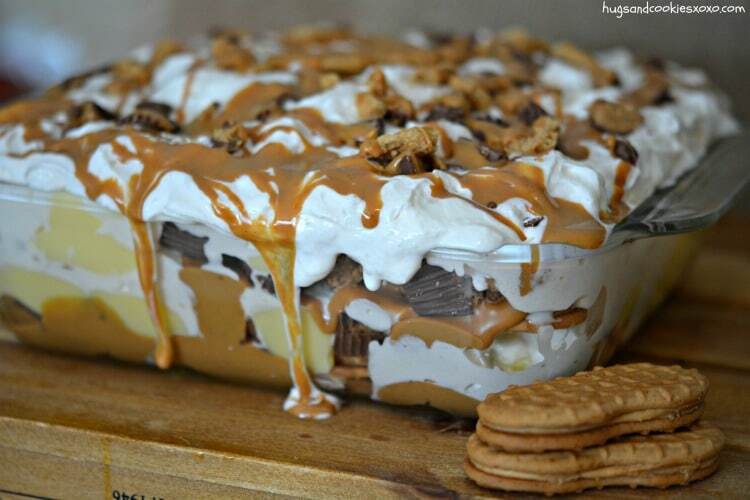 =) I do this with banana pudding too if I procrastinate and make it just before a party. ok ….Italian American here, so consider the source,,,,,LOVE your idea, but to make this more “adult” and cut down the sweetness….how about dipping each cookie in ESPRESSO COFFEE…..Peanut butter meets Tiiramisu! looks amazing can’t wait to make it. Christ has really blessed you! You are beautiful, Your family is beautiful and you get to teach every day! I’ll praise the Lord for you. Not to mention you have great recipes! Keep up the faith. I love peanut butter YUMMY! How much cool whip? Thank you! I used about 1 1/2 tubs. When you do the 2nd layer, do you do a layer of cookies also, or just pudding? The pudding mix is 3.4 ounces and the cool whip is the smaller of the 2 sizes sold. I don’t understand the 1 cup cream and a “drop?” of sugar but you said you used 1 1/2 tubs.? and would that be the big or small tubs and pudding large or small box? The cream/sugar is an option if you are making fresh whipped cream instead of using cool whip. Pudding is the small box and the tubs are the small ones. Oh, thank you!!! I cannot wait to make this! You are welcome! The pudding size is 3.4 ounces! My comment got deleted without an answer??? Oh no!!!! What was your question????? wait-I think I found it……. Nothing like counting those calories. I also know if you close your eyes while eating this goodness, no calories count because you’r brain can’t ‘see’ the numbers on the packages. It works! I’m famous, trust me 😛 I so love this recipe!!! I am closing my eyes and face planting in it soon!! AND..if you stand up while eating the calories do not count either! Love it at my age, with your calculations it would be diet food for me! As a Peanut butter fanatic, I can’t wait to try it !! And to think it’s only 59 calories !! I can eat the whole damn thing !! can this b done in a 13×9 glass dish and does the amount of ingredients change then? I made this recipe in a 9×13 dish without doubling it and it turned out great! Hi…How are the leftovers 2 days after its made? I have orders to make it (haha). I’d make it Friday night, eat it Saturday night….would leftovers be good by noon on Sunday??? Thanks for your help!! Hmmm mine didn’t last that long hahahah!!! I think it should probably be okay! 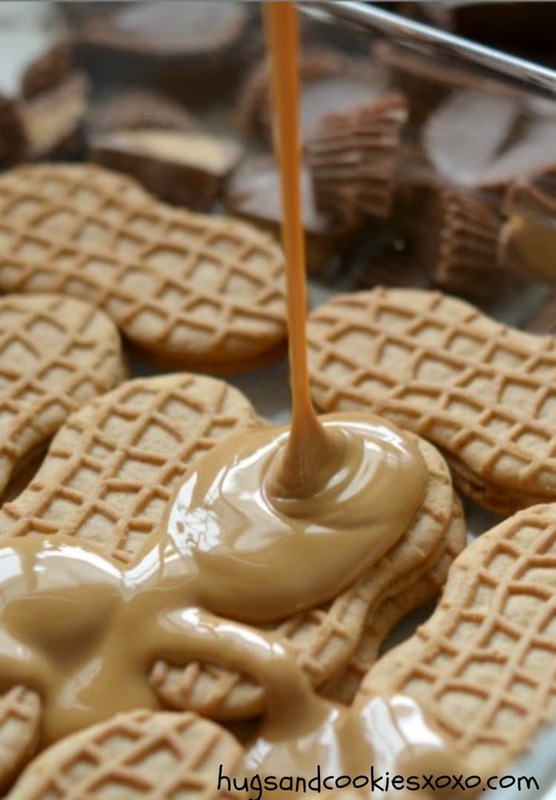 Can you use Carmel syrup instead of melted peanut butter? What? 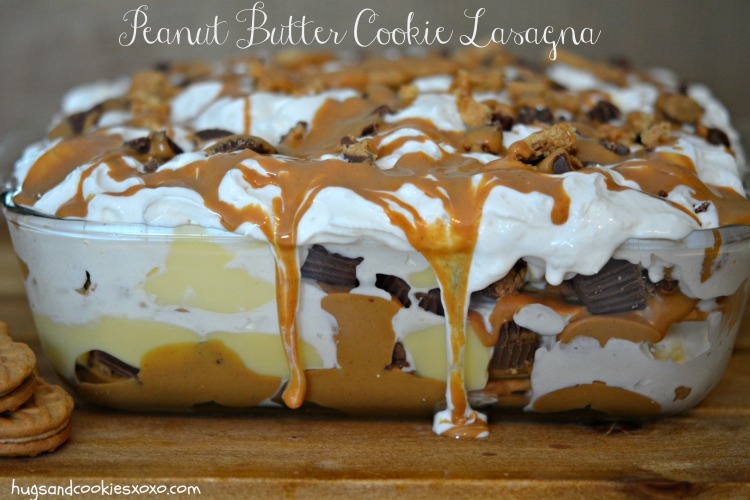 No nutrition values posted with the Peanut Butter Cookie Lasagna recipe?????? Love it! Do the nutter butter cookies get soft or do they stay hard? They eventually soften but they need to sit a while!! We ALWAYS dip our cookies in milk before layering — this helps to speed softening!! We make the same thing using chocolate pudding and/or oreos too!! You only hold them under milk for a few seconds…3 – 5. They will be soft within a couple of hours. If you leave them longer than that they will fall apart before getting them to the dish! Sounds delicious! Definitely have to make this one. when you make this how long after you make this you eat it and you put it in the fridge for you eat it. 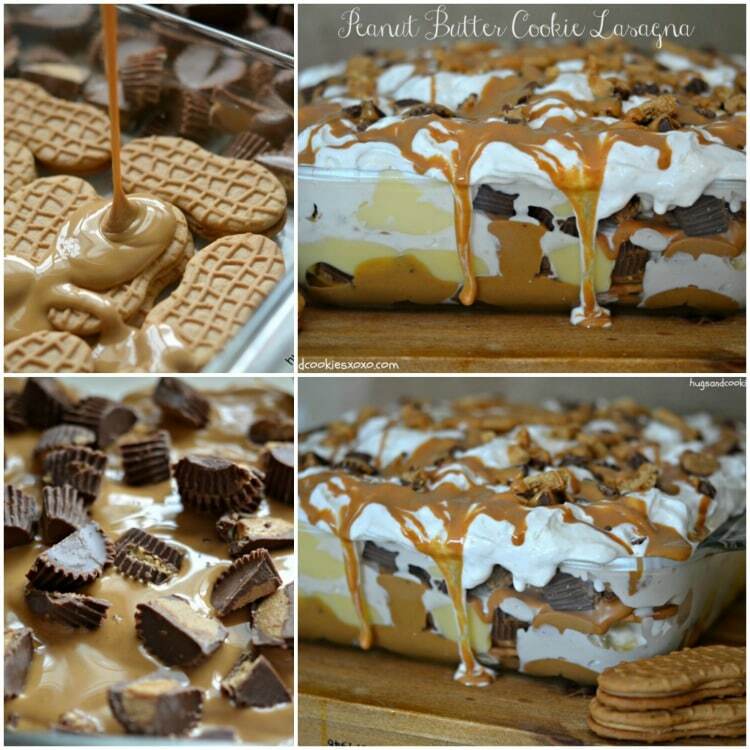 I was thinking of making this tonight for tomorrow night do you think it would be too moist or should I make it in the morning for that night? I would go a full day to let the cookies soften. What are your thoughts about adding/substituting Peanut Butter Oreos? Can you use ready whip (real whipped cream from a can) instead of cool whip? Do you think 10-12 hours in the refrigerator will be enough time for this to set if I make it first thing in the morning? Definitely not-nutter butters take longer to soften-I’d recommend 24-36 hours. hi, What size tub of cool whip do you use (how many ounces)? Thanks! I made this for a potluck when a theater troupe came to perform for my school. One of the tech guys tried to steal the pan for backstage munching. It’s totally healthy.. Loads of protein from the peanut butter, right? I used mini PB cups (chopped) and whipped heavy cream myself. I also doubled the recipe for a 9×13 pan. Definitely let it sit for longer than a day. I made mine Sunday afternoon for a Tuesday lunch, and it was GREAT. This is naughty in every way. The ladies at work each brought in an ingredient and here I am mixing away. Thank you for this wonderful treat that will probably be finished long before lunch. How many PB cups do you use, like a full bag full? The problem is that you didn’t go far enough. We went to Trader Joe’s and loaded up on Speculoos (their infamous cookie butter) products to make this with. They have a Cookie Butter Sandwich Cookie that replaced the Nutter Butters, melted Speculoos spread replaced the peanut butter, and no-bake cheesecake replaced the vanilla pudding. Fresh whipped cream with vanilla beans instead of Cool-Whip, too. My blood sugar levels shudder to think about the culinary destroyer currently chilling out in my fridge. This has quickly become a family favorite. What a great dessert. woo hoo!!!! How long did you chill yours for? Must use real whipped cream. Cool Whio will not soften cookies. L. Be hipped cream is last layer. Chill over night. Mother made sixty years ago. I am looking for blueberry muffin recipes. I made this for my Daughter’s 50 th birthday party & it was a BIG HIT ! It is now my signature dessert ! My Family loves Peanut Butter !!! Thank You for this wonderful Dessert ! woo hoo!! That is awesome!!!!! How long did you let it “sit” before serving? Can you use mini nutter butter cookies? I thought you should know, if a cookie is broken all the calories leak out! I feel fairly confident that if you cut the Nutter Butter cookies length-wise that would also cause calorie leaks. I love your site, your sense of humor, and your attitude. Lol, from the comments you are going to have to start listing measurements. Apparently some people are afraid of using their own judgement! Hmm I can feel the pounds adding to my tummy all ready LOL .. but was wondering if one were to use several tablespoons of marshmallow cream while using fresh heavy cream would the cream before it became stiff while whipping help dilute the marshmallow maybe kind of stiffening and give it a little better flavor than just whipping cream alone,, nothing like peanut butter and marshmallows …?? This recipe looks great and I plan to try it but it’s helpful when you put the amount of all of the ingredients or the size of the box of pudding you used. Not sure how much coolwhip to use since a cup of whipping cream ends up as more after it’s whipped. 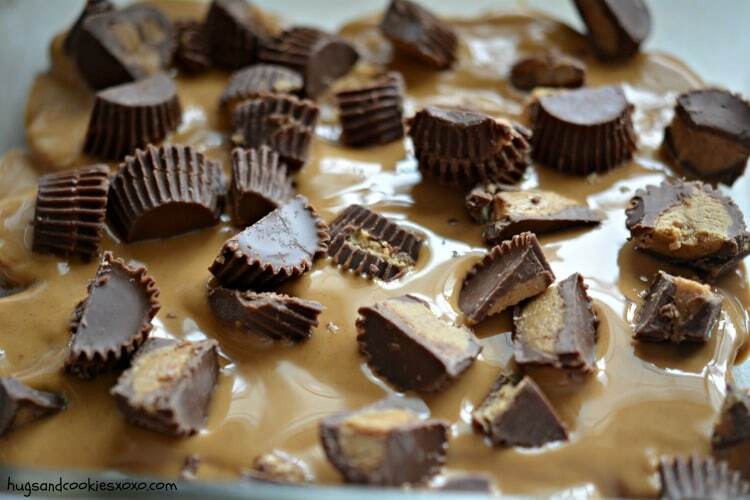 I’ll have to use white chocolate (I have a chocolate allergy)PB Cups but, OMG I’m making this one. I ♡ making this, one option i like to do is to put bottom layer of cookies in blender and make like a graham cracker crust out of them, makes easier to serve in group settings. Throw in some sliced banana , trust me. My daughter can’t have the food dyes found in instant puddings. Has anyone tried this with the cook kind of pudding? Maybe half chilled so it doesn’t melt the whipped cream? OMG, this looks amazing! Please tell me it’s totally edible and decadent and not just like eating a mound of sugar… explain how good it is, please! 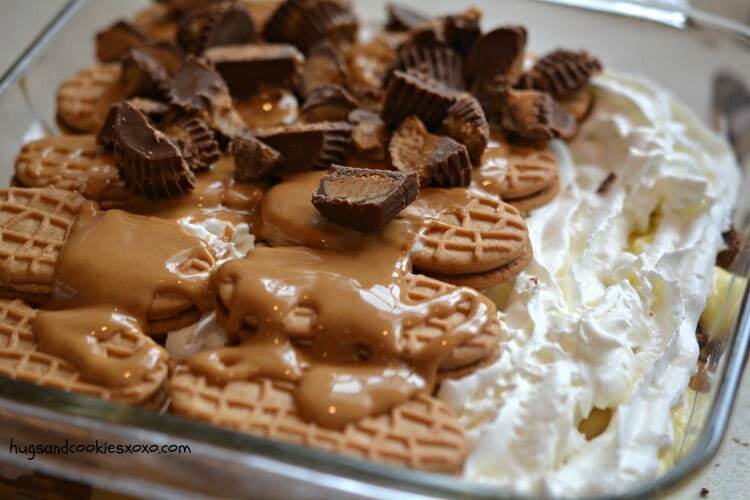 I’m a peanut butter freak – this looks too amazing not to try to make. I plan on making this and substituting the vanilla pudding with while chocolate pudding! lol I’m a chocoholic, can you tell? I’m also going to crush the cookies too. Then, I might try the same change with chocolate filled oreos instead of the peanut butter cookies. That sounds pretty good too! sounds amazing-you’ll have to report back!!! Hmmm, try a lower power maybe and just a few seconds each time, stirring between. I made this the night before a work lunch, so I broke up the cookies to help them soften. Added PB2 powder to the pudding. Also added extra PB, whipped cream and pudding! Success – everyone loved it! An 8×8 pan… REALLY SERIOUSLY??!!! Lol I will have to double it!! My husband saw this recipe posted on Face Book and of course asked me to make it for him. I highly recommend this recipe! It was very easy and turned out really good; good enough that I wouldn’t hesitate to make this for company or a big family gathering. We found it to be pretty rich so an 8×8 pan lasted longer than we expected, but don’t worry, between the two of us we were able to finish it off in no time! I felt inspired by this recipe to change it up a little bit and make an Oreo lasagna. Substituted oreos for the peanut butter cookies, caramel for the melted peanut butter, and chocolate pudding for the vanilla pudding. I left out the chocolate candy pieces (this time) simply because I couldn’t think of any chocolate candy off the top of my head that would really add to the oreo lasagna without taking away from it. 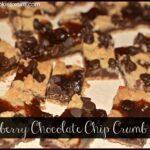 Thanks for such a wonderful, EASY, versatile dessert! I am so glad you had great results and were so creative! yay! Made this to celebrate a birthday at my work it was gone in less than an hour! I did take the recommendations to soak each cookie in milk for a second worked out wonderfully! 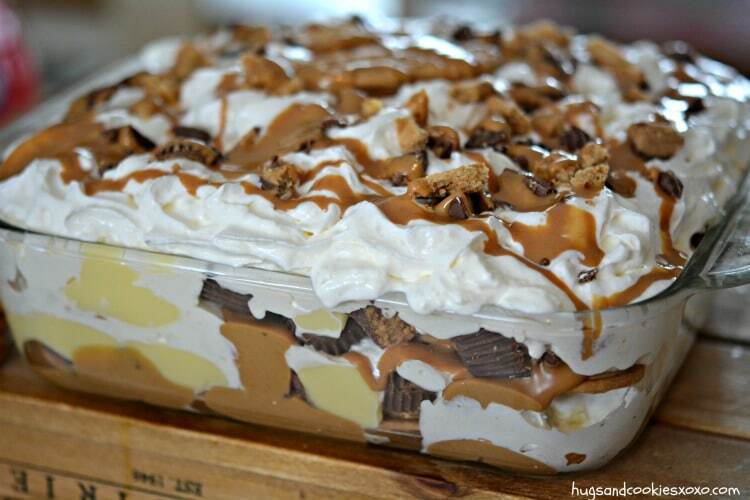 I also added Carmel topping in addition to the peanutbutter topping. I also blended an 8oz. 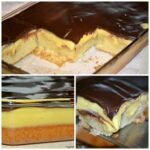 Brick of cream cheese with tblsn of powder sugar and folded into the pudding. Then I made real whipped cream and folded the pudding/crch mixture into that! People loverd it! Thanks for the sinful recipe! Has to be the richest, sweetest and most decitant! How can you possibly go wrong with this dessert. This looks wonderful and was super easy! It just went in the fridge for family 4th of July on Saturday. I was wondering if you have tried freezing it after it has been in the fridge to soften? It’s going to have to travel an hour and then wait for lunch to be over, so I thought freezing it might help it keep together without having to be refrigerated during the trip, but don’t want to ruin it! Thanks! hmmm, haven’t tried but glad it looks great!! It froze beautifully and was incredibly delicious! I may have already had to make it again. SO good!! OMG does this look good!!! So glad to hear it was a HIT!!!!! I made this last night around 8pm and plan on serving around 8pm tonight. I was on my phone so didn’t see the comments. Are the cookies going to be too hard to eat? I used them whole. Hmmm, 24 hours may still have some crunch in there. I didn’t see nothing on the fact of counting calories at the end of the recipe? I made this last year for family Thanksgiving and took 2, 9×13 pans. I brought nothing home! I was asked to bring it again this year. I am taking 3 deep dish lasagna pans. Are you still teaching? I retired 2 years ago after teaching 36 years in a variety of Elementary grades. Bless you. Yes, I teach first grade!!! 36 years-wow! If I split the cookies in half will they be soften in 15 hours? I might try this with Girl Scout Cookies, there is a peanut butter sandwich cookie that is very nutter butter like! Is there only one layer of cookies or when you repeat the layer do you add a layer of cookies?? OH MY GOSH!!!!!! It is one of the best desserts I have had in a long time. The instructions were very easy to follow. Thank you . I made it for our mothers day cookout it was a hit . had to give the recipe to at least 5 people . I was told I have to make it for every get together we have lol. I hope you don’t mind me sharing it on FB . I am so smiling as I read this!!! Happy Mother’s Day! 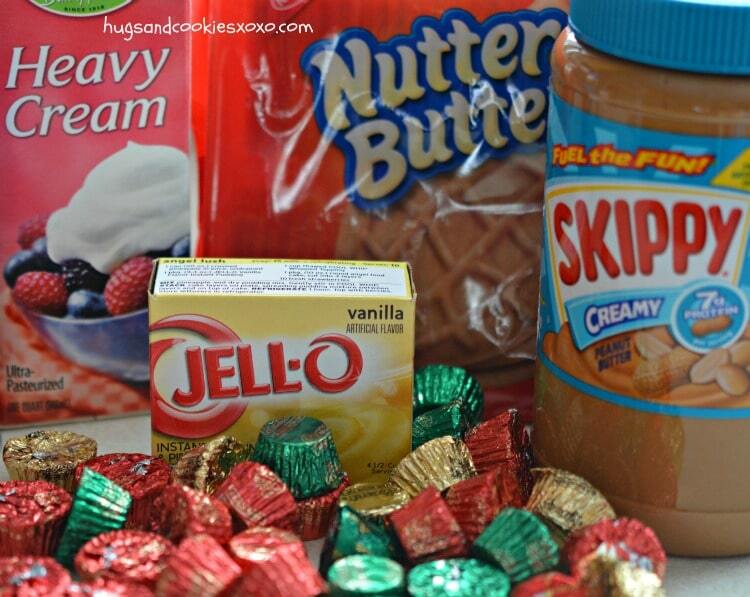 Make the pudding with evaporated milk (with no water added), and I would totally add chocolate syrup and caramel! ! Hi , This dish is a hit.. I am wanting to make it for my co workers to try out, there is 20 people. Should I just double these ingredients or? I made this for a family bbq and now my family says I have to bring this to every family function. The cream does not get hard. Just saw this; sorry to be late to the party! I’m not much of a peanut butter person (sorry), but I can see substituting other things: Nutella, or maybe taking the GS Thin Mint cookie approach. 🙂 Thanks for coming up with the original idea! I don’t normally go for desserts like this, but it turned out good! I looooove peanut butter and don’t like pudding much so personally I would’ve changed that a bit. Other than that’s this stuff was addictive! I would suggest dipping the cookies in milk before layering or add more milk to the pudding to get the cookies to soften quicker. You might want to add the peanut butter cups to the ingredients. With my birthday on Thursday I’m going to make this. Am making the pudding tomorrow and the dessert on Tuesday so it will be ready on Thursday. So excited. I looooove Nutter Butters!!!!! And everything about this looks incredible. I can’t wait to give it a try. This. Is. AMAZING!!!! That being said, I did modify it a ton. You can make it dairy free with stove-top pudding and rice milk (not sure about other milks, just what I found worked by Googling dairy free pudding). I made both chocolate and vanilla pudding to layer. I mixed 1/2 cup of peanut butter into the vanilla pudding – DO THIS! You will not regret it! I skipped the peanut butter cups. I used coconut whipped topping and the combination of peanut butter and coconut was delicious! I’m not sure how it compares to regular cool whip on top (trying dairy free for breastfeeding, will try the recipe again once I’m back on dairy), but the coconut whip was SO GOOD and about $3.50 for the container, so not that much more than Cool Whip. I halved the cookies so they softened and it worked really well, next time I’ll do more cookie layers though (I only did 2). I’d do cookie, chocolate pudding, cookie, vanilla, repeat. I bought more ingredients to make it again and I only made it a week ago for a potluck. Everyone was going on about how good it was, even my husband who doesn’t like rich desserts! 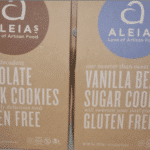 Has anyone tried this with a different type of cookie? I love the idea of the recipe but personally I just know that nutter butters would be too much. Maybe something with chocolate inside, like elfwiches? I have a question. Have you heard of anyone converting this to dairy-free? Mainly the whipped cream and pudding. Curious if anyone has done that successfully. Could you make this 48 hours ahead of time? Could this be made with Oreos instead of Nutter Butters? What are the nutrition facts in this dessert? What’s the quantity for the peanut butter cups? DId you use mini’s?